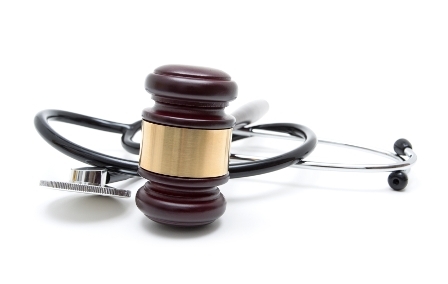 In 2017, the US government recovered $2.4 billion from the healthcare industry as a result of actions under the False Claims Act (FCA), a law that originated in the 1800s with the intent of imposing liability on those that defraud government programs. Over recent decades, healthcare and procurement fraud cases have made up the majority of all FCA actions, according to reporting in Today’s Wound Clinic. Meanwhile, specialist insurance provider CFC Underwriting notes that healthcare providers have been forced to navigate reimbursement guidelines that are challenging and confusing, which has in turn seen the rate of billing errors increase over 30%. If reimbursement guidelines are not followed correctly and the healthcare provider is found to be in violation of the FCA, they can be paralyzed by the resulting penalties, such as being shut out from participating in Medicare and Medicaid programs, being on the hook for civil penalties in the thousands of dollars per claim, and/or having to pay three times the amount of actual damages incurred by the government because of the submission of false claims. CFC’s recently released medical billings insurance solution aims to help healthcare providers in these circumstances, covering the defense costs of actual or alleged billings fraud, in addition to expenses that come out of an independent audit on billing practices following an allegation of fraud. The policy also offers reimbursement for fines and penalties arising from a breadth of medical regulatory violations, and includes a cyber and privacy insuring clause that’s crafted to target the cyber exposures looming over healthcare companies. “Cyber is probably the number one, if not the second largest concern from a risk standpoint,” said Boyce, pointing to the ransomware attack experienced by electronic health record company Allscripts back in January last year that affected many healthcare providers who couldn’t access their patients’ data or prescribe medications electronically for a period of time. The medical billings product is offered to traditional healthcare providers, like physicians, medical clinics and pharmacies that are potentially susceptible to allegations of opioid overprescribing, as well as digital health companies.